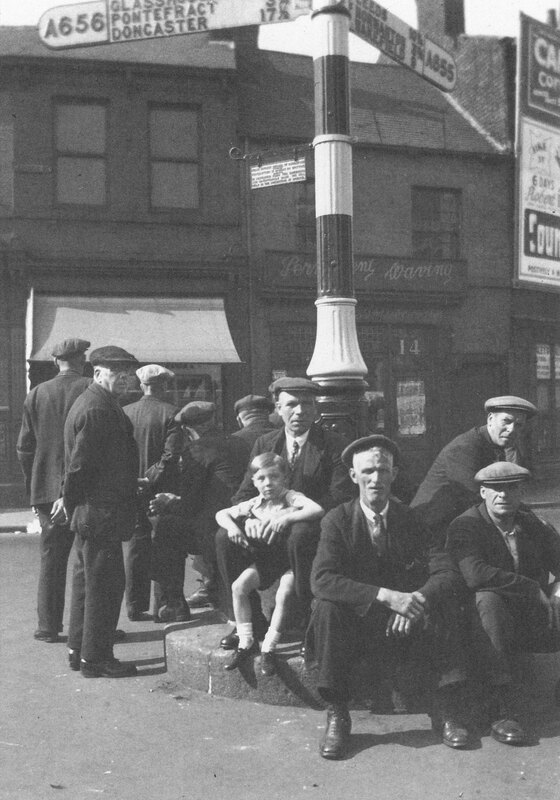 Description: Men sat around a road sign, at Bridgefoot, Castleford between 1940 and 1950. It was common for men in those days to congregate on their steps or the pavement to talk. Road signs can be seen to the A656 and the A655 above their heads. There are shops in the background with the one on the right being a hairdresser.